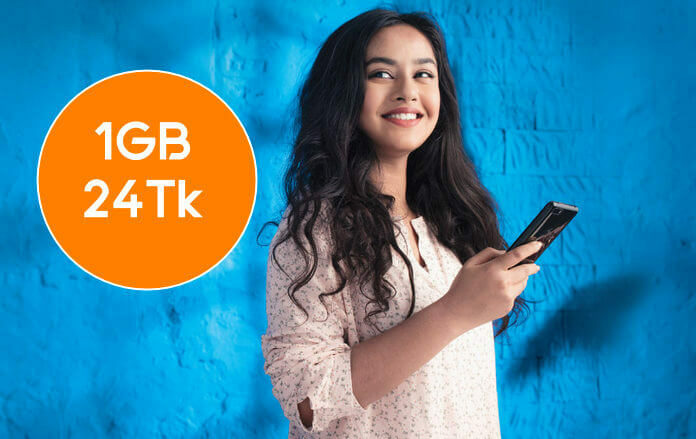 Grameenphone Lowest Price MB Pack 1GB Tk 24! GP brings a low-cost internet package to everyone. Only 24 Taka 1gb internet pack can be purchased by all the customers of Grameenphone. Data packs can be used for up to 8 hours after purchasing the pack, So if you have spent a little over the internet, this internet pack will be the best for you. There is no condition, you can do anything with this internet data. 2G / 3G / 4G / network allow on this Mb pack. Grameenphone all customer can eligible this offer. The Skitto customer can’t buy this pack. Dial *121*1*4# to know your remaining balance. You can check your reaming data and validity mode by MyGP app. Multiple time accept the data offer. Like our Facebook fan page to get our offers on your Facebook news feed.